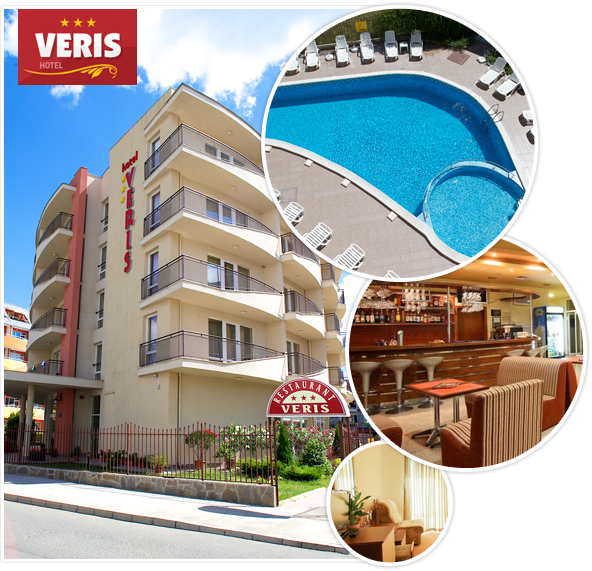 Welcome to the hotel "Veris"! Welcome to the hotel "Veris" where you will spend your holiday by the sea in the famous Bulgarian resort Sunny Beach, Bulgaria. 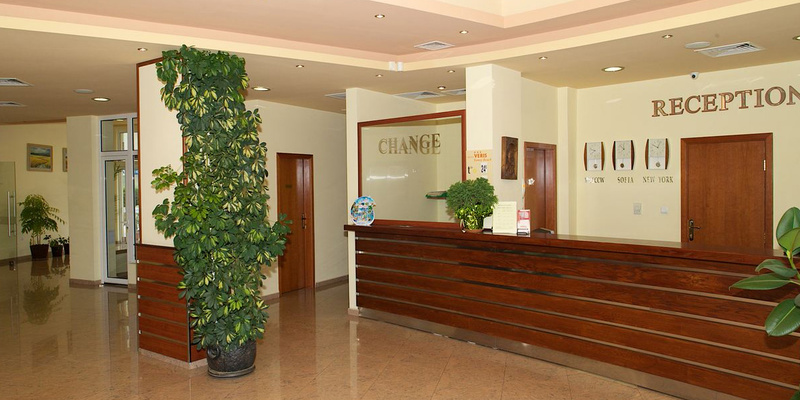 In close vicinity to the beach, the hotel offers all the facilities to ensure an unforgettable summer experience! 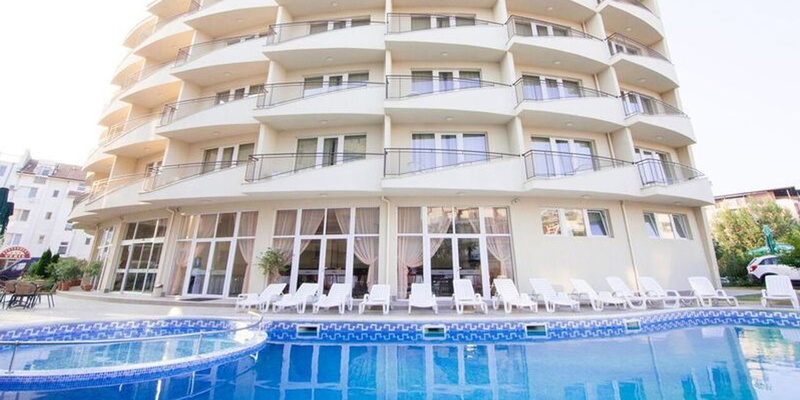 The three-star hotel "Veris" is located in the central part of Sunny Beach. 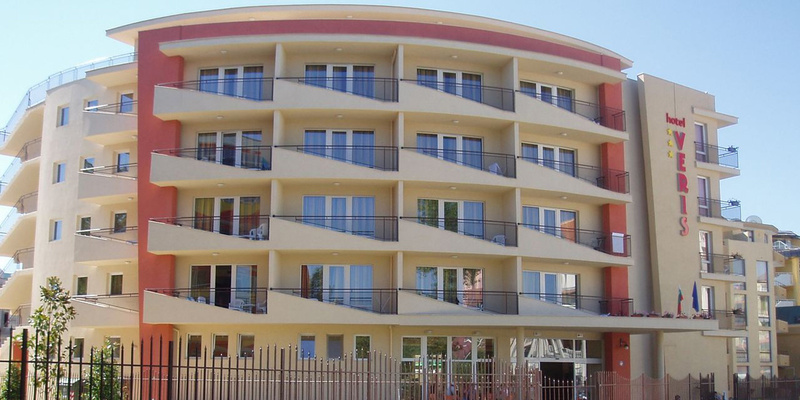 "Veris" is a comfortable hotel, situated only 400 meters from the beach, near the central bazaar, bus stops, entertainment bars, restaurants and shops. Each hotel room is equipped with a TV, hairdryer, mini bar, telephone and central air-conditioning system, as well as own bathroom. 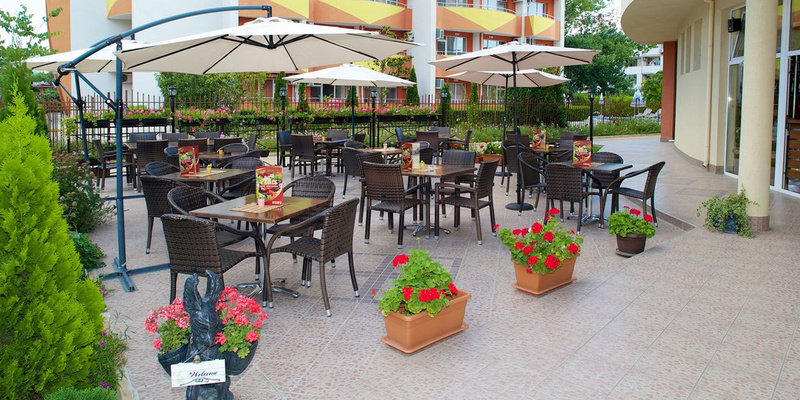 On the balcony, you can enjoy your favorite coffee, relaxing in the comfortable chairs. Central air conditioning, 24 working reception, restaurant, lobby bar, pool, umbrellas, lounges, currency exchange, safety deposit box, luggage room, lift, shop, FREE Wi-Fi public area. © 2019 Hotel Veris - Sunny Beach, Bulgaria. All Rights Reserved!